In terms of talent, the Chargers don’t take a backseat to anyone. But the absolutely horrendous performance in the playoff loss to the Patriots brings up the same old questions about the Chargers not being able to get over the hump. What the hell were the Chargers doing against the Patriots? They couldn't get to Tom Brady, they couldn't stop the run, and they didn't cover anyone. 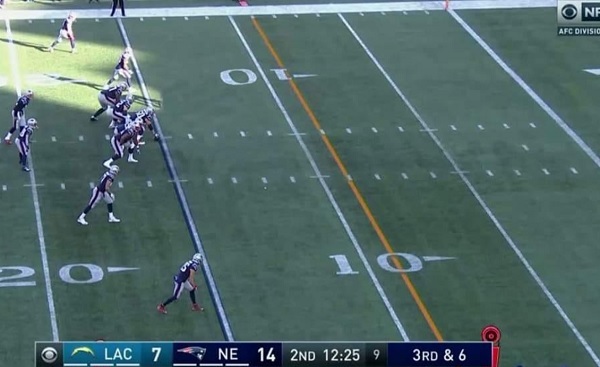 The Patriots basically did whatever they wanted to. It was embarrassing. Total destruction in the Divisional Round wasn't how anyone associated with the Chargers wanted the season to end. The question league observers have about the Bolts is, are they here to stay? Should be. The free agents-to-be are key parts, but not of the integral variety: Denzel Perryman,Adrian Phillips, Brandon Mebane and Tyrell Williams. Although Williams has evolved into the big-play weapon on this team, at least on the outside. Keenan Allen is still the WR1, a third-down chains-mover who commands attention. Mike Williams took off late in the season, and although he will push Allen for targets, his area really could be the red zone. Hunter Henry will be fed his fair share of RZ throws, too. But as for chunk plays? It's all about Williams, Tyrell -- he posted 15.9 yards per catch (most among Chargers receivers) and a team-high five catches of 30-plus yards. Re-signing Perryman would be nice, too. Anthony Lynn led them to a great 2018 season. Philip Rivers isn't going anywhere, and their backbone of defense and the running game is strong enough for them to stay in the AFC title mix despite being stuck behind the Chiefs. Meh, they lost to both Super Bowl teams, two division champions and gave away a game to Denver. Not to mention all the miles they traveled. Can you imagine this team having a KC type home field advantage? Take all that into consideration and my opinion is they end up no lower than four. my guess is that we'll be on the playoff bubble, w/big questions on the Oline and not sure we get over the philosophical hump on IDL either.... not sure more LBs is gonna solve anything. I think we are looking pretty good. Henry will really help Rivers. We just need to get these lines fixed. Add a LB. They went 12-4 and won some games they would have lost in years past (At Pitt, At KC and the Titans). They also lost to the Broncos in a game they had in hand. All in all pretty fortunate. Of course, it wouldn't be the Chargers without one position group being decimated by injuries and this year it was LB. Brown, Perryman and Kizer all missing. That group was weak to begin with so it really hurt. We need to get strong up the middle on both sides. Need a dependable ILB, DT and Safety on D and better OG play on O. Get those things solidified and we can be great. When you look at the roster, I really think Lynn helped us overacheive this season. While I thought we could be a good team, this team still has a ways to go before it matches the overall record. Telesco needs to be pretty clever this year to fix some holes. D we need help up the middle. DT, ILB, FS..... We also seem to lack the press coverage guys that most of the other top playoff defenses have. I don't think it needs to be press man, but if you want to disrupt a playoff team's passing game, you better be able to knock the receivers off their routes and make the QB hold the ball. On O things are getting there, but the only WR we have that can get open vs the press is Allen. The OL got a lot better, but they were putrid (2 years ago) and have a ways to go.